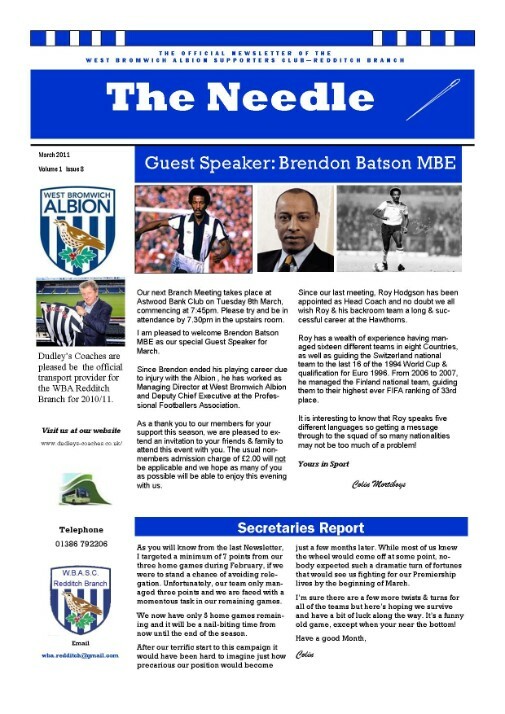 The Branch launched it's very own monthly Newsletter in August 2010 which goes by the name of ‘The Needle’. Why did I use this name? Well, as I only decided to issue a monthly newsletter just prior to the season, I was struggling for a name and thought that there should be a reference to something associated to Redditch. Having investigated the history of Redditch on the Internet, it was well publicised that the town is well known for its needle making, which stretches back to the 17th century. It is said that by 1862, Redditch was the only town in the country making needles on a mass basis and by the Second World War produced about 45 million of them a week! For a quick history lesson go to this LINK and you will get to know a bit more! Anyway, back to our Newsletter name and as the needle is also a term used within sport, as in a Needle Match, I thought this worked quite well and I could use the image of a needle as the Editor’s pen! None of the current members have queried the name too much so my deep thoughts must have worked! 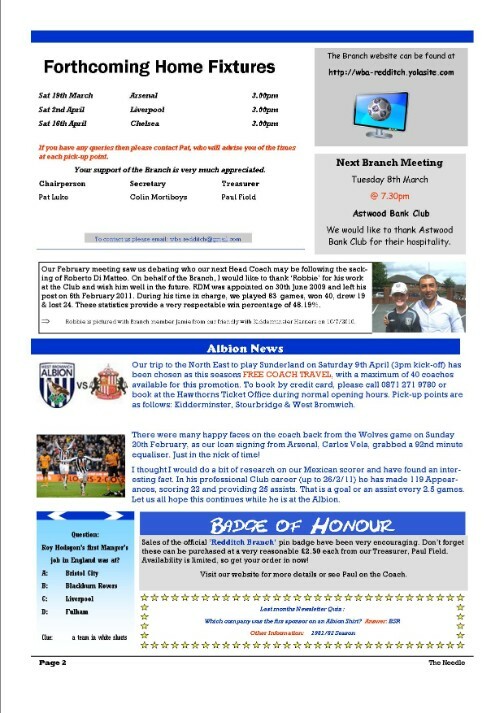 The Newsletter is available to members free of charge throughout the football season, by email or by picking up a copy on the coach. The reason it isn’t published on the website is that it’s one of the benefits of being a member, so please join the Branch if you want to receive a copy on a regular basis. Below is a sample of one of our Newsletters.